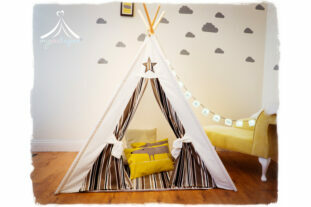 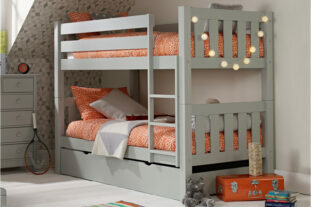 New and exclusive to Room To Grow, we are thrilled to present the New Jubilee range. 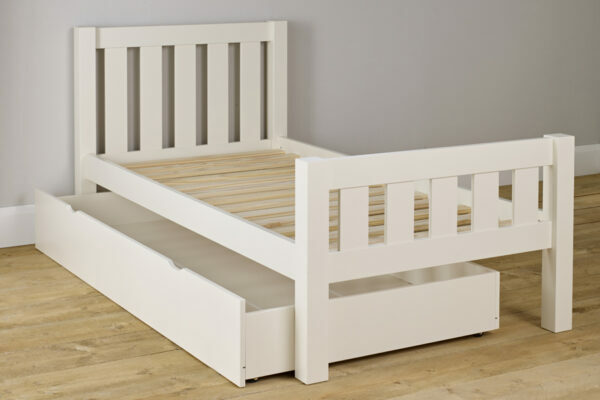 The standard 3ft single bed is just fabulous with it’s simplistic yet contemporary design and beautiful asymmetric head and foot board. 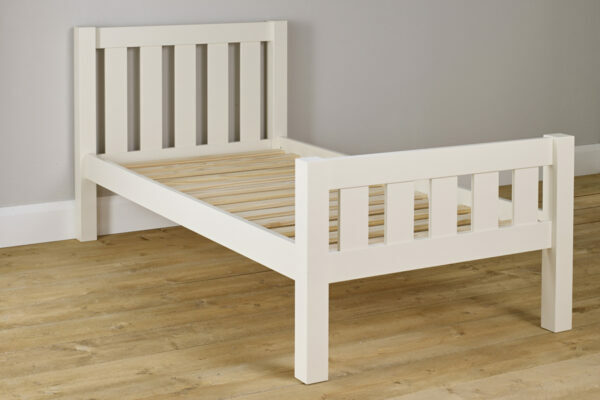 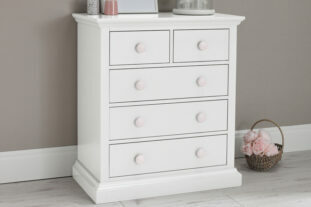 A solid pine bed lacquered in an Ivory White finish will look perfect in any bedroom and with an optional trundle drawer for storage or sleepovers – just perfect. 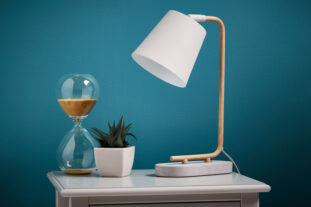 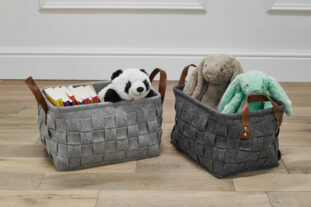 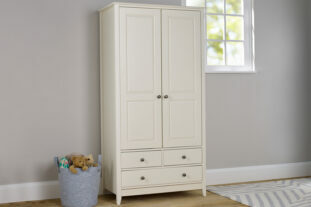 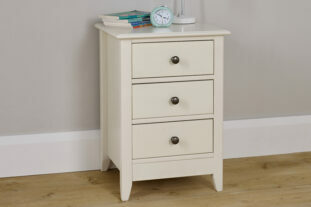 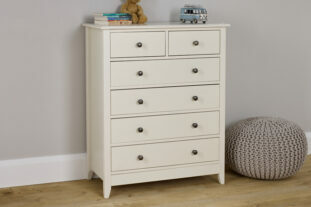 The Jubilee range is fashionable yet affordable and will last throughout the years. Amazing quality and looks super in the bedroom, really pleased with the bed. 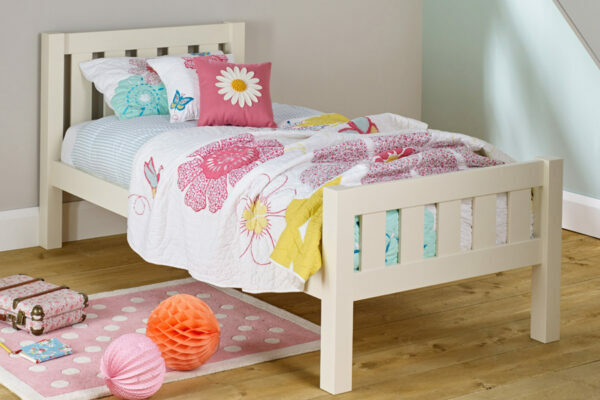 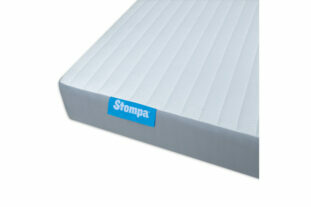 Good quality heavy wooden bed.